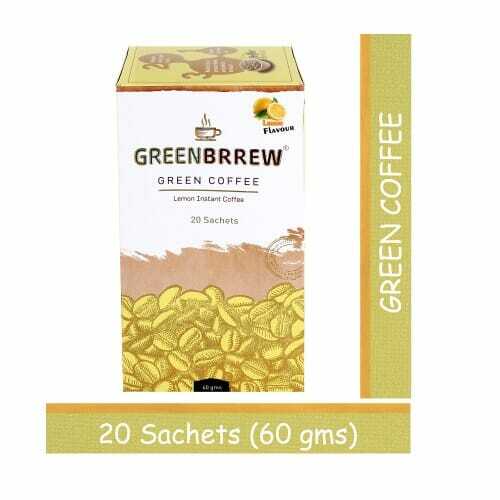 Greenbrrew green coffee is an instant and unroasted beans extract in the form of powder which comes from organic cultivated farms. 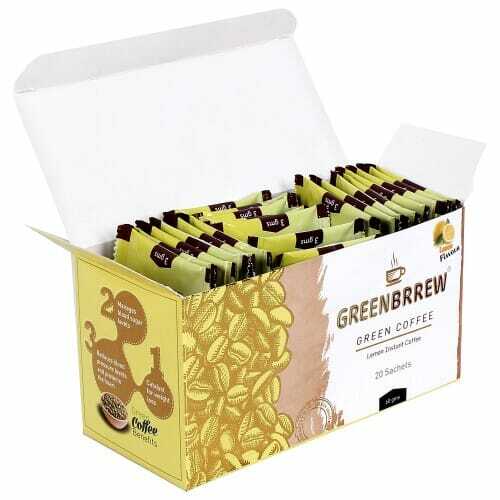 Greenbrrew brings you the finest coffee bean extract without roasting the essential compounds of the coffee. It is natural, instant and easy to make. Lemon green coffee beans extract, boosts energy, supports metabolism. It’s instant (decaffeinated and unroasted) easy to use: Just dissolve in boiling water and consume. 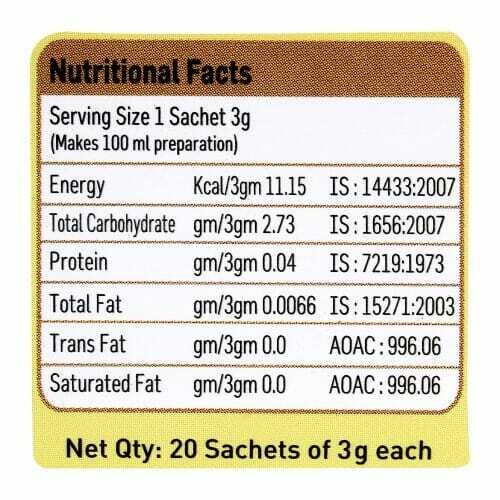 Qualities: Lemon flavored, Natural, Decaffeinated & Unroasted Green Coffee Beans Extract, Safe Using Ingredients It’s Instant, Nice Aroma & Easy to Use. How To Make: Take the sachet and empty it in 120 ml. Hot or Cold Water. No added sugar, milk or preservatives needed. Just Stir it and enjoy the aromatic, delicious cup of Home-Made Green Coffee. Certified: Greenbrrew Green Coffee Is Certified Of Food and Safety Standards (FSSAI), DAC, HALAL & ISO APPROVED & A Part of Indian Coffee Board.